As a part of our new licensing agreement with SMART Technologies, students and staff are now entitled to download the most recent version of SMART Notebook on your personal computer at no charge. SMART Notebook for iPad is a light version of the SMART Notebook collaborative learning software. Using this app, you can both use and edit SMART Notebook lesson activities for individual and collaborative learning with an iPad. 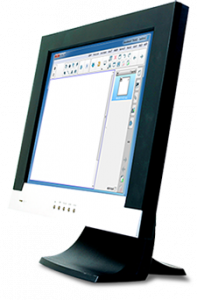 You can even connect your iPad with a SMART Notebook Desktop, see below. You can download the iPad SMART Notebook by selecting the link below. 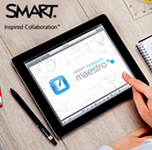 Checkout SMART Notebook Maestro add-on to unleash the power of mobility, letting you interact with connect and conduct collaborative two-way SMART Notebook lessons from a single iPad anywhere in the classroom. Maestro is installed on a SMART Notebook Desktop as an Add-On allowing you to connect your iPad to the Smart Notebook Desktop. You can download the iPad SMART Notebook Maestro by selecting the link below.